Sam is certified in optimal nutrition from the Harvard T.H. Chan School of Public Health, and enjoys writing about health and healing. This is not a how to lose weight fast article and it is not promoting some unhealthy weight loss program. This article is all about the healthy way to lose weight. Losing weight is not hard if you learn how to eat healthy and this includes what types of food are best and what foods are bad for you and your body. Losing weight is all about getting healthy, they are one in the same. Losing weight is not as important as losing inches. You will not lose weight fast with a healthy diet, although you could lose weight and inches quickly at first and then it will taper off, do not let this plateau stop you from your goals. You must remember that you did not gain the excess weight and inches in a week, so you cannot expect to lose the excess weight and inches in a week. Losing weight quickly is not healthy and will usually come back once a dieter stops a particular diet. Losing weight, fat and inches is not a diet that you start and then stop; it should become a way of eating and a way of life, forever. Learn how to lose weight, feel better and be much healthier just by knowing what foods to eat. Belly fat and excessive body fat is dangerous to our health. Fat that we see around the belly, sometimes referred to as a beer belly, is called subcutaneous fat. This type of fat is just below the skin's surface. You could have a great set of abs, but this fat covers them up. There is also a more dangerous type of fat called visceral fat. This fat is further inside your body and can cover and push against the organs. The body treats this type of fat as an invader and triggers the immune system to rush white blood cells (macrophages) to the area as the body would with any invader. The constant rush of white blood cells is the body's way of trying to heal or get rid of this invader, but since it is fat, it will not heal and the body keeps pushing the white blood cells to the area. This can cause chronic inflammation and could result in inflammation type diseases. Chronic inflammation is now associated with strokes, heart disease, type II diabetes, Alzheimer's and certain cancers. 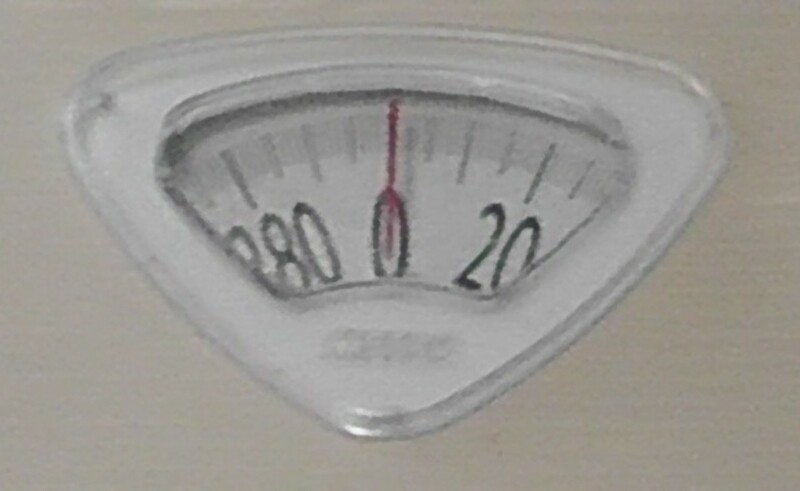 Many people rely on the bathroom scale, but if a person is losing weight and also exercising, they are replacing the fat with muscles, and muscles weigh more than fat. Measuring inches is a better way to gauge your health. 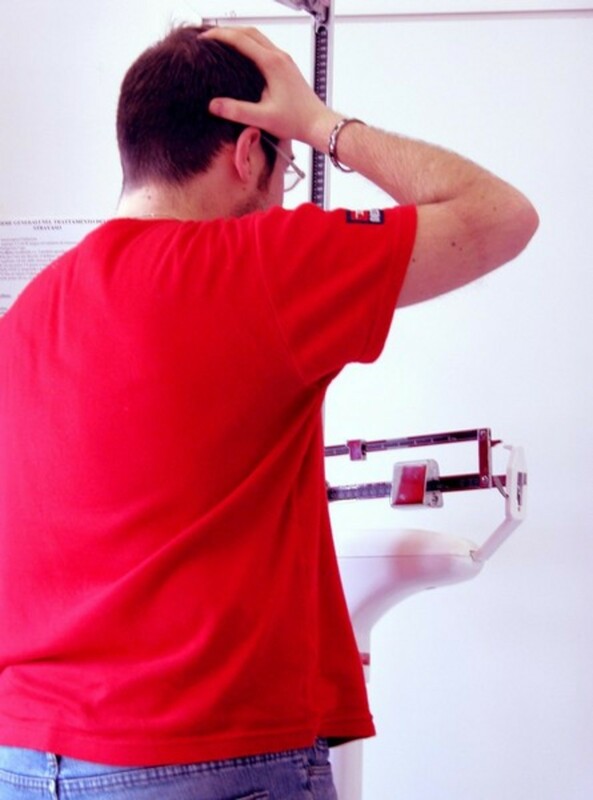 A waist circumference of more than 35 inches for a women and 40 inches for a man shows that you are at risk for inflammation related diseases. Years ago, I started to wake up feeling old and achy, and I was only in my early 30s. My back and especially my knees would hurt to the point that I could barely kneel and stand back up. At this time, a friend told me to read a couple of books, "The McDougall Program: 12 Days to Dynamic Health" by Dr. John McDougall and "Confessions of a Kamikaze Cowboy" by Dirk Benedict. Those two books made me realize that the foods I was eating was affecting my health in a negative way, not to mention I had gained quite a bit of weight, which I actually hadn't even noticed. The McDougall Program: 12 Days to Dynamic Health was probably the most important book I have ever read concerning health. Right after reading the book, I did his 12 Days to Dynamic Health plan and I could not believe how much better I felt. Not only did I lose weight, but most if not all of my general aches and joint pains went away. Another benefit to a vegetarian diet was that my blood pressure went down to a healthy 110/70. It was not easy though; going to a plant-based diet like that after years of eating meat and dairy products was hard to get used to. This diet detoxified my body of all the toxins I had been eating all of those years. Toxins from processed foods and drinks full of chemicals. Over the years, I have learned which foods do tend to make me feel bad and gain weight and which foods make me feel good. Changing the way I ate was a great learning experience for me, teaching me exactly how the food I was eating made me feel so unhealthy and caused me to gain weight, even though I was physically active. I stopped eating junk food and processed foods and learned to cook these healthy meals. How Did We Gain All That Weight? There are different answers for each person. It could have been too many fast food meals or too much soda pop or a constant diet of unhealthy processed food or an increase in vegetable oils in the diet. Learn about today's processed foods and just how many chemicals are in most of our daily food. All of these chemicals could be making us all gain weight. High fructose corn syrup (HFCS) is in almost everything we eat and drink. HFCS is higher in fructose than regular table sugar and recent studies show that HFCS is a cause for unhealthy weight gain. Our consumption of fat has increased instead of decreasing over the decades. This increase in fat is in the form of vegetable oils like olive oil, soybean oil, etc. All oil is pure fat very calorie dense. Fat has 9 calories per gram, while carbs and protein has 4 calories per gram. And these extra calories in oil do add up. And the simple fact is we eat more calories today than people did just 30 years ago. 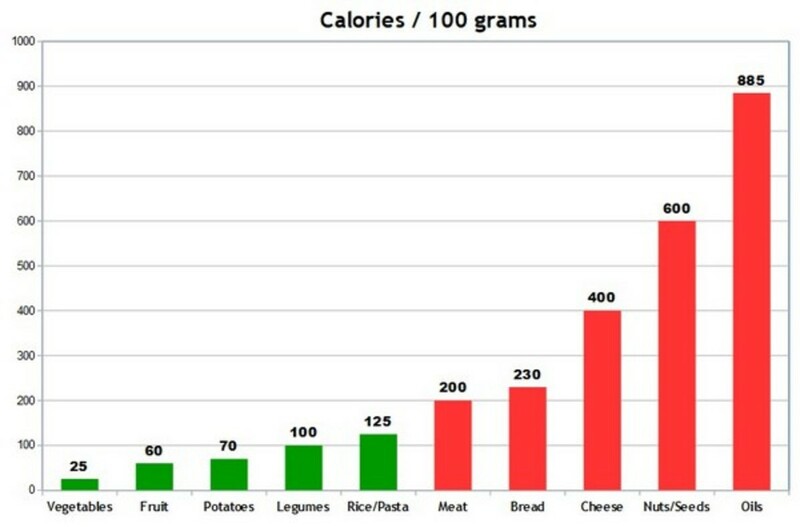 Our calorie consumption has gone up by more then 400 calories per day since the 1970s. And that can add up to an obesity problem. There is so much food around today and most of it is not high in nutritional density, but high in empty calories. What exactly is in our food? This book is really an eye-opening book about the food industry and what exactly is in our foods. You will learn what foods to buy and what foods not to buy. 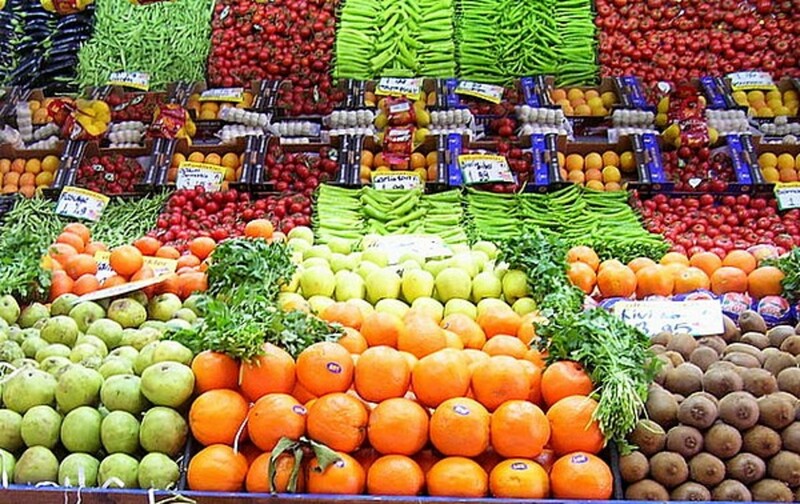 The food we buy and eat today is far different than it was just 20 or 30 years ago. All you have to do is look at the list of ingredients and you will find that there are many chemicals in the food that you most likely have never heard of. I wonder if many of us even know what real food tastes like anymore. In order to lose weight by eating healthy, it is best to eat foods that have the least amount chemicals. And that also includes every form of MSG and artificial sweeteners like aspartame, and high fructose corn syrup, which are known to contribute to weight gain. Our body has hormones that tell the brain when we are hungry and need food and hormones that tell us when we are full and no longer need food. Ghrelin is the hormone that our body produces when we are hungry, is also know as the hunger hormone. Leptin is the hormone that among many tasks, tells us when we have had enough food. More studies are finding that some of these chemicals in our foods are actually fooling these hormones. These food additive chemicals have tricked our hormones, causing them to tell the brain we are still hungry when in reality, we are fool and no longer need food, so we can overeat and especially snack on junk food all day long. It is very possible that the food manufacturers are not fools when they add certain ingredients to the processed foods they manufacture and sell to us. So we eat more and more. A brand new book, Feeding You Lies by Vani Hari will really give you insight to just what in the heck we are eating today. Reading this book will really help you learn which foods you are eating that could be causing you to gain weight. Knowing which foods you must avoid will help you lose weight and feel better. Most studies have now confirmed that many of the chemicals in our food are unhealthy for us, in fact, many countries around the world have banned many of the chemicals and food additives that we Americans commonly food in our prepackaged processed foods today. Before I read the book, Feeding You Lie, I really thought I knew how to read ingredients and which processed foods should not be eaten. Even as a vegan, we have to be careful about buying so-called vegan foods, because they also contain so many of these same food additives. Losing weight and feeling great is actually a learning process, which is great, because it keeps us all involved and in control of our own health. Along with carbohydrates, starch has gotten a bad name for no scientific reason. This bad name for starches most likely started with the glycemic index. It became the key to weight loss when everyone started to avoid carrots, potatoes and most starches because of the glycemic index. The glycemic index is a measure of how much of a certain carbohydrate foods raise a person's fasting level of blood glucose and consequent need for insulin in two hours. This index really has detailed nutritional thinking. Using the glycemic index, a person would actually believe that carrots, potatoes, bread, brown rice, corn flakes, and watermelon are all worse to eat that sugar. Those looking to lose weight would stay away from all of these healthy foods just because of this index. The glycemic index says that a baked potato is the same as a chocolate candy bar. The glycemic index was initially used in laboratories as a research tool. Today, many health researchers say to just leave the glycemic index for the researchers in the laboratory where it belongs. This index puts carrots as a worse food to eat than sugar. 400 calories would equal 4 large baked potatoes, or 12 servings of carrots, or three cups of corn to equal one Mr. Goodbar candy bar. Now which of the above foods would be healthier, and more filling, of course the vegetables would be far healthier and more filling than one candy bar. Not to mention, the candy bar, or a bag of cookies all of an incredible amount of unhealthy fat. An easy to understand book that explains exactly why you will lose weight and reverse many chronic diseases by eating a healthy diet full of carbohydrates and starches. The book has plenty of science to back up everything Dr. McDougall writes about. Dr. John McDougall is probably the best known doctor in the world and proponent of a plant-based diet. He is the first person to say, his way of eating is not vegan. What is vegan anyway, it is just not eating animal foods. But that can also mean a very unhealthy diet. Soda pop isn’t animal foods, potato chips with all that unhealthy oil is not healthy, but they are in the sense of the word, vegan. Dr. McDougall believes in a starch based diet as the healthiest way to eat. It has already been proven that a vegan diet is the healthiest diet and can reverse numerous diseases such as diabetes type II, heart disease, arthritis, hypertension (high blood pressure), pre- diabetes, metabolic syndrome, obesity, and many other diseases. Before I read this book, I used to shy away from eating too many white potatoes, bread and pasta; because I thought it would cause me to gain weight. After reading this book, I added more starch foods to my diet, and have not only lost weight, but I really feel great. As Dr. McDougall states in his book, “The Starch Solution”, starch has been the staple of almost all civilizations throughout history. Looking back through time, there has been civilizations that have thrived on nothing but potatoes. And more and more, there is scientific evidence to back up that eating plenty of starches along with vegetables, legumes, and whole grains, along with a small amount of seeds and nuts are the key to losing weight, regaining your health. Best of all is that eating this way; you will keep the weight off, and stay healthier than you possibly have ever been. The best way to lose weight and feel great is to learn from those that have successfully lost weight and kept it off. Learning from those that have already made all the mistakes and gotten through the weight loss plateaus is a great help for anyone trying to reach a healthy weight. One person you can learn a great deal from is Chef AJ. You can read in her book, The Secrets to Ultimate Weight Loss, how she had battled being overweight for many years. She tried one thing or another to lose weight, including dangerous weight loss pills. When those weight loss pills were outlawed by the FDA, she had to find a healthier answer. She had two health books on her bookshelf that had the answers all the time, but never read them until the day they outlawed the diet pills. Those two authors, John McDougall M.D. and Dean Ornish M.D., taught her what she needed to know about losing weight the healthy way. She has been through all of the mistakes and pitfalls of weight loss. But she persevered, and today Chef AJ is one of the most popular authors and speakers on the subject of weight loss and nutrient dense healthy eating. Anyone frustrated with trying to lose weight can certainly benefit from her book and recipes. This wonderful book will teach you how to overcome the pitfalls of weight loss and help you lose weight and feel great. This book not only shows you the way to healthy weight loss, but also includes many great recipes to help you feel full and satisfied as you lose weight. Losing weight the healthy way is simple, but it might not always be easy. Some people can easily change to a plant-based way of eating while others have a very hard time changing their diet. There are many ways a person can lose weight, but only a few healthy ways. Today’s fast food and processed foods do have chemicals that change our hormones as mentioned above, which takes time to reverse. There are also food addictions that might not be easy to break, making weight loss even harder. But it can be done. And there are always excuses to give up trying to lose weight. It might be slow weight loss, or the dreaded weight loss plateau that seems to last forever. But in the end, it is certainly worth the effort. The only way to lose weight and feel great is to eat nutrient dense foods, and the most nutrient dense foods are plant foods. Our body is constantly rebuilding and rejuvenating cells, skin and organs. By eating these healthy foods instead of calorie dense processed foods, your body will rejuvenate itself as you lose weight. With healthy weight loss, your doctor could reduce and eventually take you off certain medications as your body heals. You will start to notice your skin looking healthier to the point others might comment about it. This is not only due to the weight loss, but because of the type of foods you will be eating. Plant foods are very high in vitamins, nutrients and phytochemicals. By eating the food groups listed in green and avoiding the foods in red, you will lose weight and feel great. Legumes are any types of beans including lentils. You can have as many potatoes as you like but you cannot use butter, oil, or sour cream. For moisture or creaminess, use vegetable broth without oil in the ingredients or use oat milk. Once you have reached your optimum weight loss, you can add in bread, avocados, and a small amount of nuts. Both nuts and avocados are healthy, but high in fat. 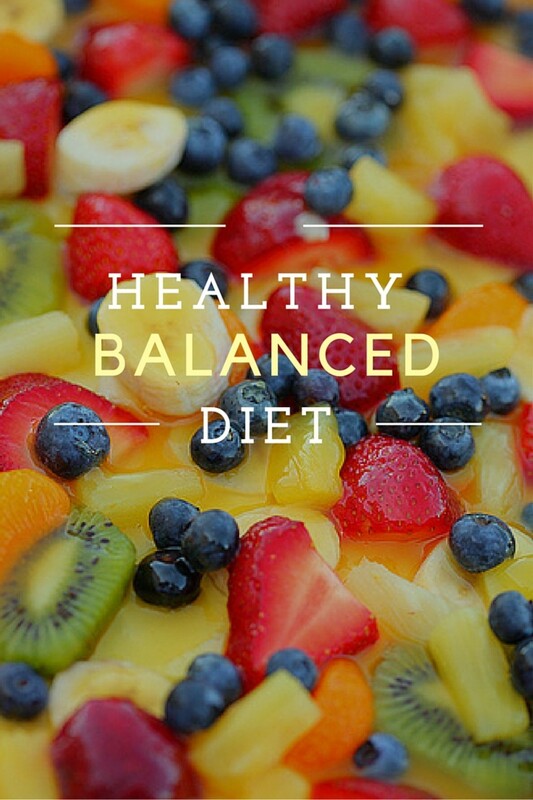 Healthy eating is the best way to lose weight, regain health and stay healthy. This is not a diet that you do for awhile and then go back to the unhealthy ways you were eating. This is a way of life for good health the rest of your life. A life where you feel great at your optimum weight and free of all those pharmaceutical prescriptions and chronic illnesses. Today, there is a rather dramatic increase in chronic health issues, like type II diabetes, heart disease, obesity, hypertension, high cholesterol, digestive issues and more that is directly related to our daily diet. Learn how all of the chemicals in processed foods today can cause you to gain weight and not even realize it, and how to avoid those foods. Today, too many people eat when they aren't hungry, and it is thought that some of the chemicals in processed foods are causing this. Eating healthy does not mean that you have to be hungry all of the time. The beauty of eating healthy is that there is no counting calories, no adding up points and no hunger. A healthy way of eating is satisfying, satiating and enjoyable. There is a lot of new research about brown and white fat, with both serving a purpose. Most of what I have read deals with outer and inner fat, or subcutaneous and visceral fat. Both are indicators of health problems if there is too much of it The visceral fat is the fat that is not what we see on the belly, but the fat that is inside that can cause problems. It can press against the organs and our body sees it as in invader which can cause inflammation related diseases. Too much fat also plays havoc with certain hormones like leptin. I am fascinated by the macrobiotic diet and also lived it for a couple of years and drifted away. Books like the Hip Chicks Guide to Macrobiotics really makes it simpler to understand when compared to the Kushi books. The best I have felt was when I ate the macrobiotic way or vegan. I later adapted to a more Mediterranean diet adding some grass fed beef. I mainly did that because I live at 6000 feet, dry and cold during the winter and I started to wonder about a vegan diet in the winter. I did macrobiotics for a couple of years and then gradually drifted away. I really loved eating that way and I was very healthy and had a lot of energy. I've reading lately about brown fat and white fat and the different effects it has on the body. I agree and the list of chemicals and additives they are putting in processed foods grows all the time. @Pat Goltz: Hi Pat and thank you for your comment. Too much sugar and high fructose corn syrup are bad for us. I think the pros outweigh the cons when it comes to a vegan or vegetarian diet. Vegans can take a good multivitamin that should make up for most deficiencies like vitamin B12. Omega-3 supplements would be helpful and a vegan can get good amounts of protein by eating quinoa. A good protein shake made with spirulina is great for protein. I realize that many vegans would not use an omega-3 supplement, since they are made from fish. There are omega-3 supplements made from non-animal sources that are fine such as those made with algae. I think that today, the overweight problem has something to do with not cooking meals at home and too many chemicals (including high fructose corn syrup) in processed foods, even so-called healthy processed foods. Another problem really is simply over consumption of both food and pop. Artificial sweeteners are very damaging to health and cause weight gain. Vegan diets are very deficient in some critical nutrients. Vegetarian diets less so, but still not adequate. Low carb is excellent. It's hard to sort through all of the claims people make about diet. This was an interesting read. Thank you. Thanks for these tips! Hope to follow them. There are many who lose weight however risking a good health. I'm really glad that I found this lens, now I can tell my friends who are in extremely wrong diet that there are ways to get fit while having a healthy body. A healthy diet and a weight loss program like that from Exerciseaholics can show good results.